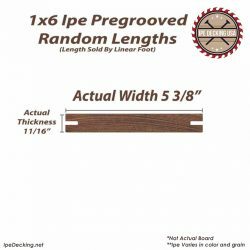 1×6 Ipe wood is the most popular size of Ipe. Ipe is hands down the best wood for outdoor applications. Period. It is the standard that all other woods aspires to be. 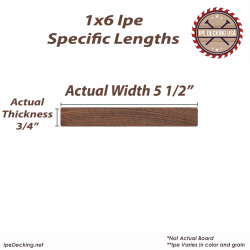 Ipe also is known as “Ironwood” or “Brazilian Walnut” is only the highest quality. 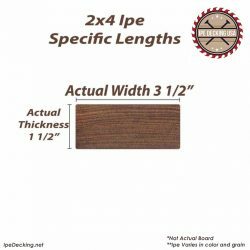 Known as First European Quality or F.E.Q.. We make an effort to cull any substandard boards prior to shipping for complete satisfaction. This results in our customers having the highest satisfaction rating. This 1×6 Ipe wood will last for over 70 years with little or no maintenance. 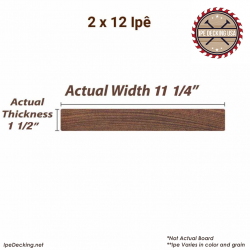 Buy with confidence, this is the best wood at the most reasonable price. Very dense, 1×6 Ipe weighs about 1.9lbs per linear foot. This will vary due to moisture content. 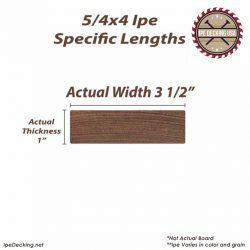 Also, don’t forget to add Ipe Seal to your order to keep that beautiful brown look. Please be advised inventory changes on a regular basis. If an item is not in stock we will contact you and make a suitable change prior to shipping. Thank you!